> Blog Are Subway Tiles Out Of Style In 2019? Designer Toni Sabatino Doesn’t Think So! Are Subway Tiles Out Of Style In 2019? Designer Toni Sabatino Doesn’t Think So! The case for subway [tiles], why it is in style this year, next year and forever! I am from New York so it may be a given that I love subway tile. What is interesting to me, though, are that there are so many reasons to use it and that classic 3x6 brick shape is constantly being reinvented with new colors, sheens, textures and patterns. Classic white subway is a great backdrop for old school east coast elegance, modern organic, farmhouse, coastal and much more. Black mirrored "subway" found its way into my line of site and I fell in love! 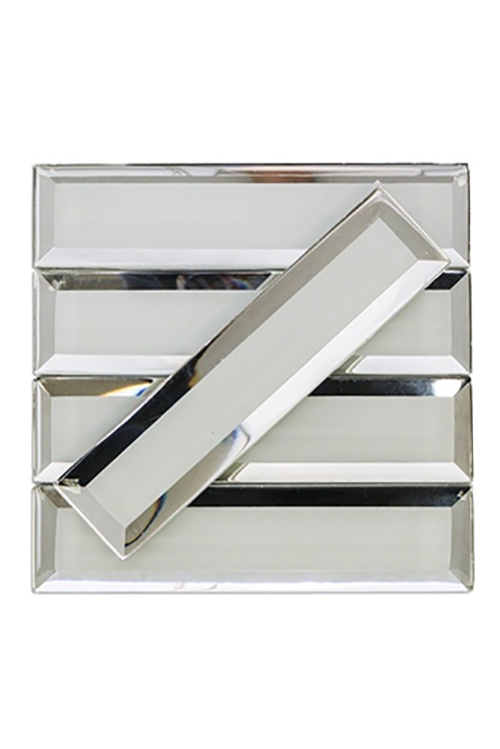 The reflective nature mixed with the classic pattern was perfect for a transitional upscale home I was working on. I think this classic shape is here to stay as it adds a timeless quality that does not date when building or remodeling. 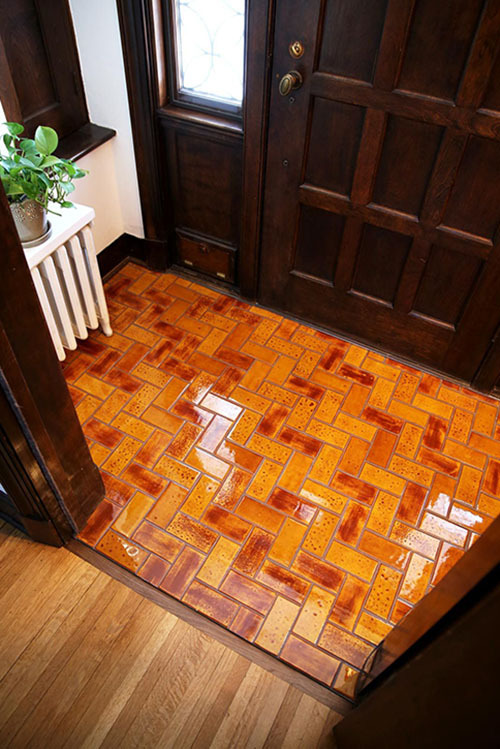 Most interior designers echo Toni's sentiment and would agree that subways tiles are not going out of style anytime soon. Those rectangular shaped tiles are a timeless classic shape with the versatility and variety to fit any style. It's safe to say, based on Toni's point of view, that subway tiles will continue to grace homes in 2019 and beyond. Below, we showcase 7 of the more popular subway tile choices. You can recognize these classic tiles from a distance. They are often used in kitchen designs and have made their way to living rooms and cafes. 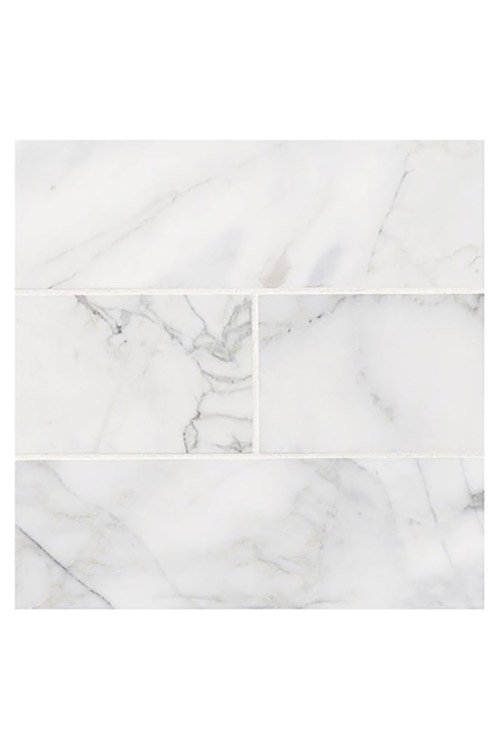 Classic marble subway tiles have changed in size throughout the years, and you can now find them in larger formats. 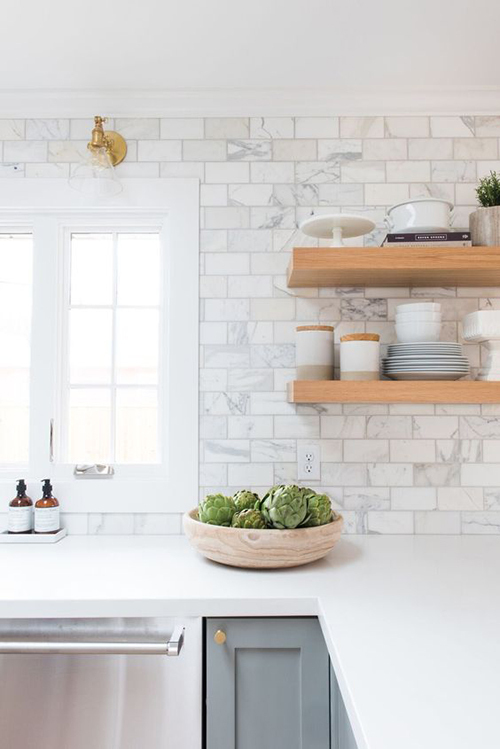 For a refreshing modern home, install your subway tiles throughout your kitchen wall continuing all the way up to the ceiling for a consistent look. This white-on-white color scheme will make the area look much larger and more inviting. 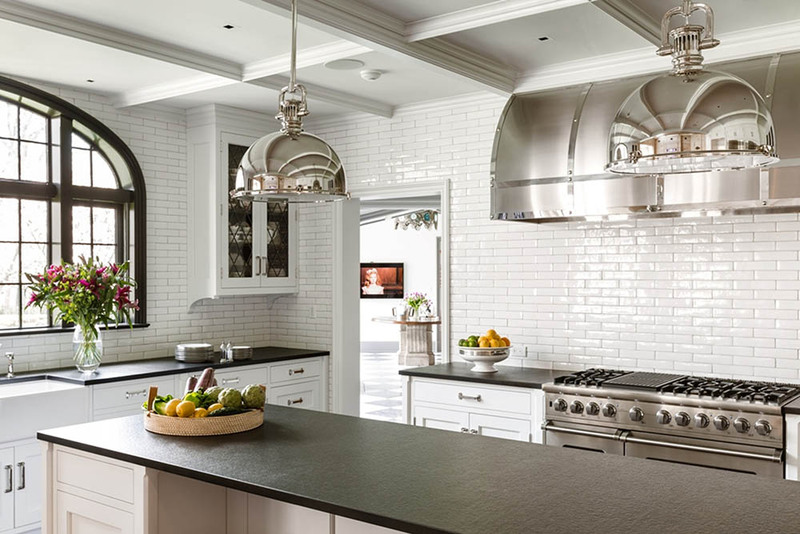 Another classic we can count on are beveled subway tiles. 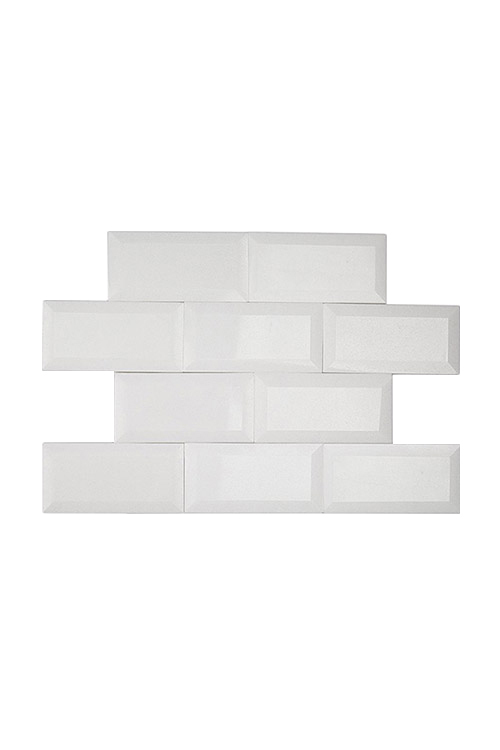 These white ceramic tiles with beveled edges will add more dimension to any space than standard subway tiles. Many interior designers adore this look because it is an upgrade to the classic flat rectangle. 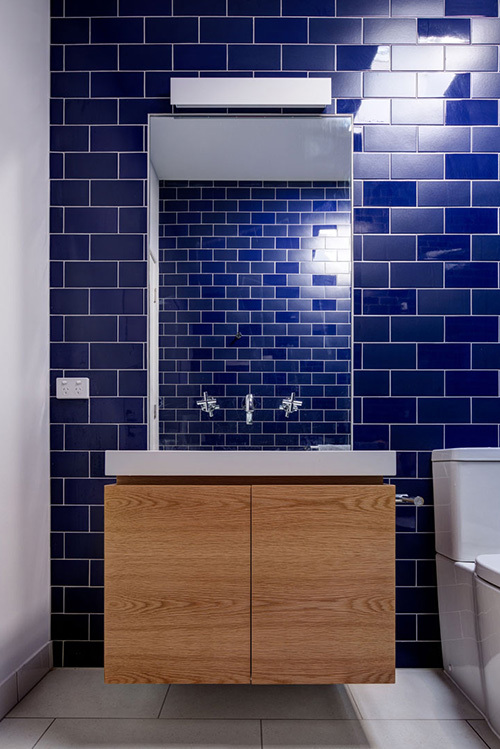 When choosing beveled subway tiles, opt for a glazed finish and choose a similar grout color. This will help define and shape the beautifully raised edges, creating a soft shadow in the space. Mixing matte and gloss subway tiles can be beautiful, especially in spaces where you may need a small amount of light. The matte finish adds a subtle softness whereas the gloss finish adds light-reflecting shine to the space. What's great about this trend is that you can control the ratio of how much gloss you want in the space. This type of matte-gloss blending is quite similar to how interior designers contrast colors beautifully. So pick your favorite color and go for it! Matte and glossy subway tiles are definitely in. With their amazing versatility, subway tile designs have become more colorful, intricate and durable. 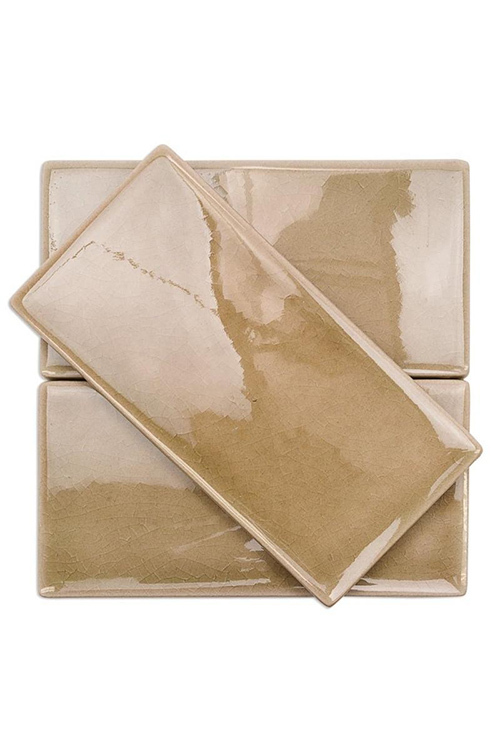 Crushed subway tiles (also known as crackle subway tiles) are quite popular. They look a bit contemporary and add dimension to your space. Choose vibrant hues like orange and red for an inviting foyer or highlight your pool by mixing several shades of the same hue. The brighter the color, the more cheerful and amazing it’ll look. 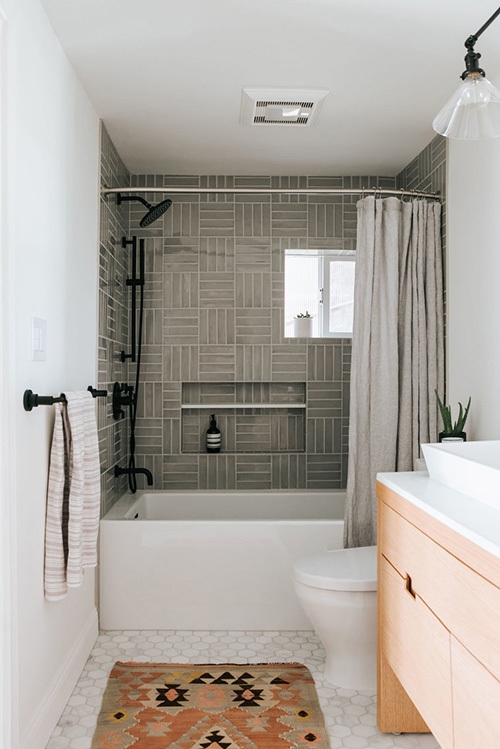 A good rule of thumb before installing your subway tile is to consult with your contractor about what tiles are durable enough to use as flooring. 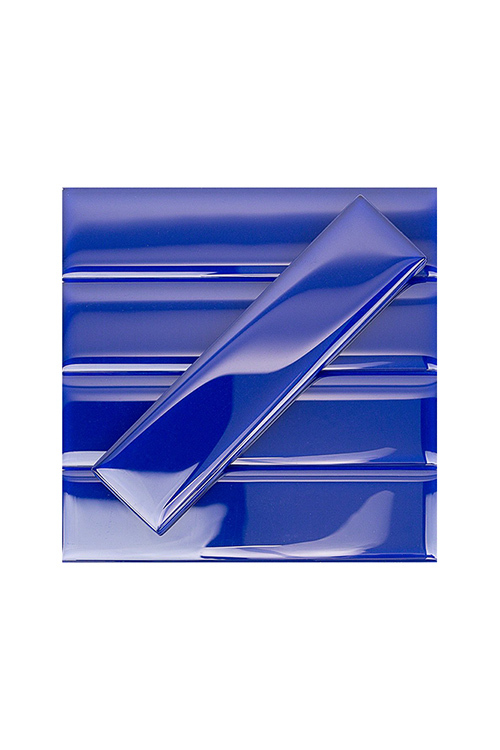 We’re used to seeing glass subway tiles as kitchen backsplashes and bathroom or shower walls. For something less traditional, try using longer and narrower subway tiles. This skinny, rectangular look will give you the option to layout your subway tiles in crosshatch design similar to the basketweave look. This style creates a one-of-a-kind look, as the glass finish will allow light to bounce off beautifully, creating a sense of movement in the space. Choose one side of the bathroom as your focal point, which will serve as an abstract work of art. Be creative and layout your subway tiles in ways that complements the space. 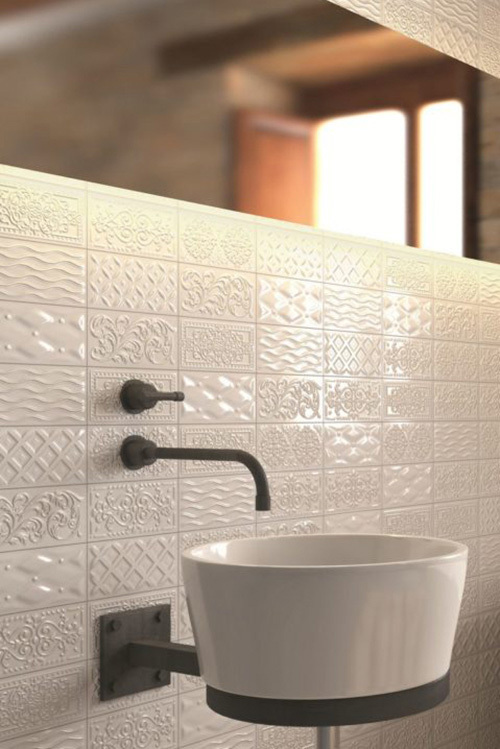 One of the easiest ways to switch up your subway tile look is opting for textured or patterned subway tiles. Pair the unique design with simple black and white home decor items to add a charming look to the space. For a fun and interesting look, use several different textures and designs to help achieve the balance between trendy and timeless elegance. 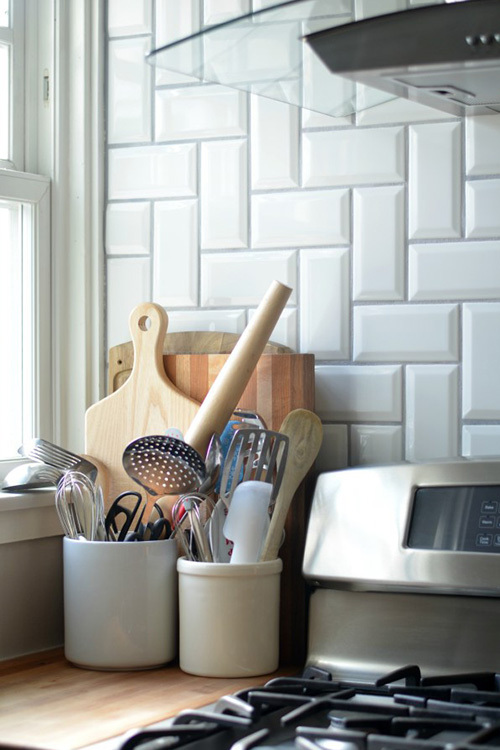 Stack the subway tiles in the simplest manner since the designs will speak for themselves. 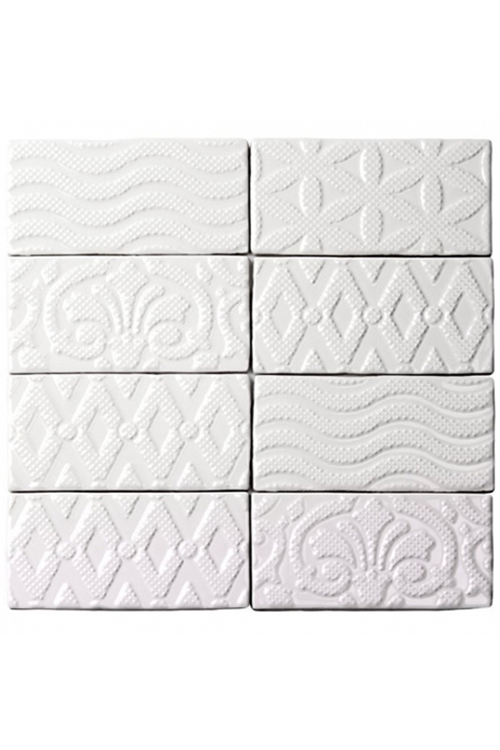 These ceramic 3D tiles will add that extra touch of luxury that you are looking for. Need to add color to your space but can’t decide? 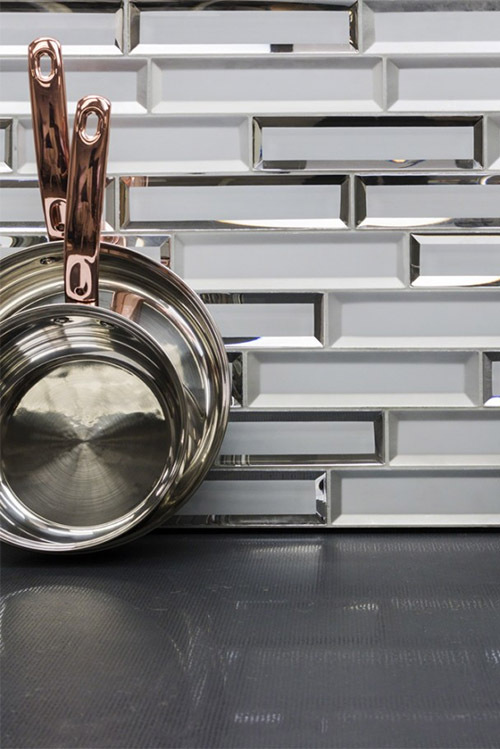 Opt for dazzling mirrored subway tiles. These tiles not only increase the amount of light in the space but can make it feel more spacious. 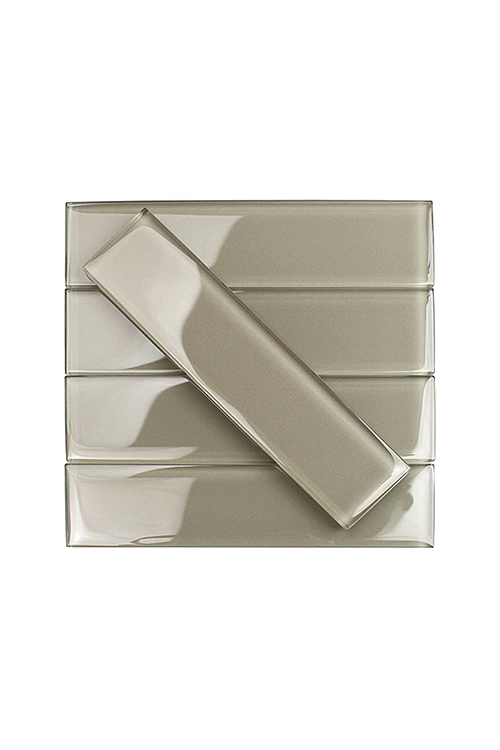 Mirrored subway tiles are glamorous and look amazing in small spaces such as a powder room, guest bath or small master bath. For an elegant kitchen that shines, try pairing neutral materials like shelving and countertops to help create a fresh and new look.